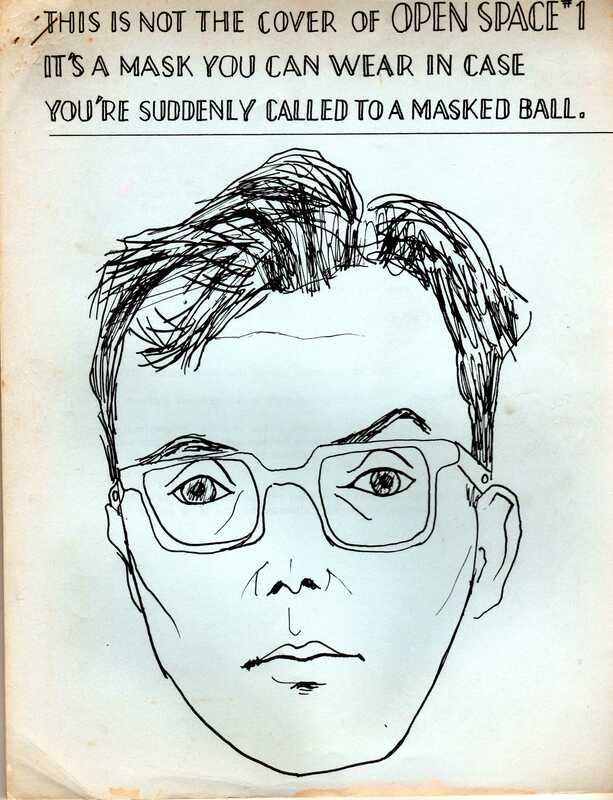 In Burroughs’ first appearance in Chicago Review in 1958, he is presented as a San Francisco poet. As Linda Richman would say, Burroughs was neither in San Francisco nor a poet, discuss. Well, to say the least, many poets in San Francisco were verklempt, particularly Jack Spicer and his circle. Spicer was a founding member of the San Francisco Renaissance when it was the Berkeley Renaissance in the late 1940s and he did not take too kindly to Ginsberg and company rolling into town to take over the Six Gallery space that he had developed. Spicer rightly saw that the San Francisco Scene as presented by Evergreen Review (Issue 2) was the creation of the New York media. Spicer hated nothing more than New York and all that it represented. Ginsberg, Kerouac, and Burroughs were quite simply Yankees, a team the baseball-loving Spicer loathed. In 1964, Stan Persky, a recent arrival from Los Angeles who quickly became a member of the Spicer circle, edited Open Space, a mimeo mag that spewed out 15 issues in only 12 months. Like Spicer, Persky lashed out at a number of literary targets in San Francisco from Donald Allen to Lawrence Ferlinghetti. Nobody was spared in this deliciously malicious little mag as gossip rag. If you ever get a copy of Open Space — and that is doubtful since they are notoriously scarce (and deliberately so to frustrate attempts by collectors to accumulate complete runs) — be sure to have your copy of Kevin Killian’s and Lewis Ellingham’s Poet Be Like God, a literary biography of Spicer and his circle, on hand. Like J Magazine and a host of other Spicer-related mags, Open Space spread the gospel of Saint Jack to an incredibly limited cloister of initiates. Open Space is totally inside and exclusive, like the best of mimeo. Issue One features a review of William Burroughs and Allen Ginsberg’s Yage Letters (see below). Burroughs becomes William Burros and it is clear the Spicer circle considered him a complete jackass. The review cuts like a stiletto. What comes across loud and clear in the review is that Persky, Spicer, and crew considered Burroughs and Ginsberg tourists exploiting not only South America, but also San Francisco. Ferlinghetti and City Lights was the American Express office for the interloping Eastern Beatniks, providing funds generated from the commercialization of the SF Renaissance as well as a kiosk for the dissemination of their propaganda. The review also makes clear that Spicer fueled the muse with alcohol more than drugs. Spicer did not have to travel to Peru for yage when Gino and Carlo’s cocktail lounge down the street was providing the nectar of the gods that he preferred. Burroughs and the Beats were outsiders, carpetbaggers who would be denied the right to drink with Spicer no matter how much Ferlinghetti and Ginsberg tried to step up to the counter and sit-in. Mr. Burros has written the best travel guide for South America now available. This book would make a wonderful gift. It really tells you the kinds of things you’d want to know without a lot of crap about churches and liberator heroes: where the busses are, what the food is like, who you can talk to, where to get boys, etc. The only thing one is hard put to understand is why is there all this fuss about something called Lager, which, as best as I can understand, is something you could get in the Anxious Asp. I mean, why does he bother to give us all this dope when any normal man would be perfectly satisfied with grass or else one of those little sugar cubes the LSD people put out? Of course, all these episstles were published in various avant-gargle mags a few years ago and Mr. G.’s histrionics are, as usual, completely unintelligible. I really tried through most of this to keep telling myself about Burros’ humanity, that the boys do matter to him, do have something to do with Eros, that the junk is more than a fixed thing — but after a certain point, despite his well-timed caustic sense of wit, one knows that it is hopeless, they’ve gone over the edge and it aint readable or poetry or love. Written by Jed Birmingham and published by RealityStudio on 13 July 2010. And I really like ‘episstles’ and ‘avant’gargles’. Nice stuff. calling that ‘satire’ is a bit like calling my school playground impressions of my teachers ‘cutting edge political theatre’! I never knew that there were divisions between East and West coast writers of that era. Did Spicer consider himself a Beat poet? Spicer resented the Beats, did not consider himself a Beat poet, and disliked the fact that his poetry was linked to their work in places like Evergreen Review and the related San Francisco Poets LP. Would you group hiim with the Beats? Or with any other poetic school/movement? I would not group him with the Beats. He is usually listed as a SF Renaissance poet, but you can further narrow that down to Berkeley Renaissance (late 1940s into the 1950s) with Robin Blaser and Robert Duncan as his peers. Poets influenced by Spicer include Harold Dull, Stan Persky, and James Alexander. The key magazines and presses are White Rabbit, Auerhahn, Open Space and J. Check out Mimeo Mimeo for lots more Spicer material and a complete review of Open Space publications. Thanks, Jed. I’ll definitely check out what Mimeo Mimeo has published about him. I’ve been listening to podcasts of Spicer reading–there are a few available free online–as well as discussions of his work.